Estate Planning is not just for the wealthy or elderly. Without having the right estate plan in place, life’s unexpected changes could cause your medical decisions, finances and/or property to be controlled by a stranger and/or Florida law, instead of according to your wishes. 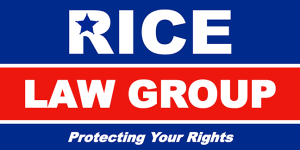 Rice Law Group, P.A. helps its clients prepare for their future through proper estate planning. We customize every estate plan to each client’s unique situation. Such a plan will help deal with unexpected medical and financial contingencies now and help avoid costly litigation over the disposition of assets after someone passes.